In total, 36 tanker loads - each 3,000 gallons - of debris have been excavated and removed by a dedicated team of seven confined-space specialists. 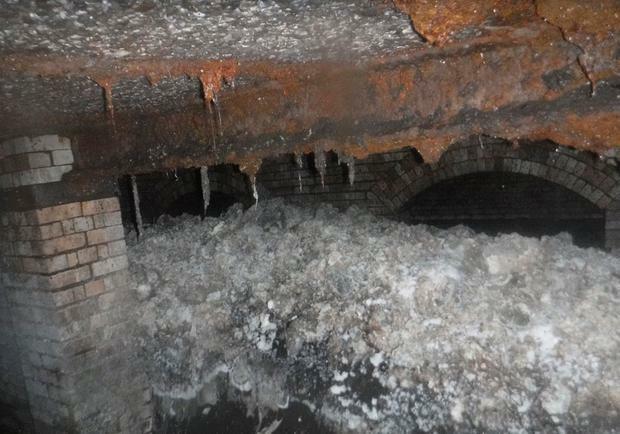 Andrew Roantree, South West Water's director of wastewater, said: "The Sidmouth fatberg is the largest discovered in our service history, and illustrates how this key environmental issue is not just facing the UK's biggest cities but our coastal towns as well. "The fatberg has made headlines all over the world, and we really hope that this will help everyone to remember to only flush the 3Ps - pee, paper and poo - down the loo and to dispose of fat, oil and grease in the bin not down the sink." He added: "Although not on the same scale as the Sidmouth fatberg, we deal with around 8,500 blocked sewers every year, which costs about £4.5 million to clear and adds to bills. "Most of these blockages are caused by people inappropriately flushing baby wipes, hygiene wipes, cleaning wipes, cleansing pads and sanitary products which do not break down in the same way as toilet paper and get glued together by fat, oil and grease poured down drains. "Thankfully the Sidmouth fatberg has now gone but we'll need the help of the people of Sidmouth to make sure it never returns."